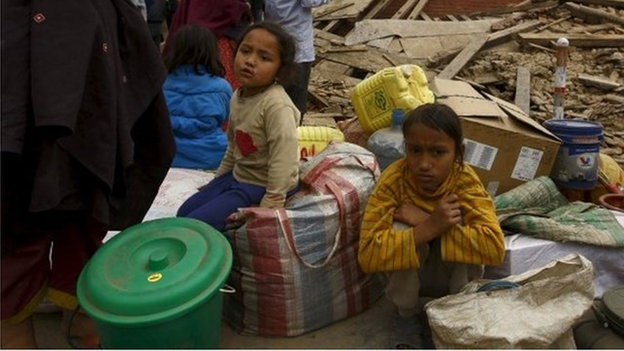 More than 1,000 people have been killed in Nepal's deadliest earthquake for more than 80 years, police say. 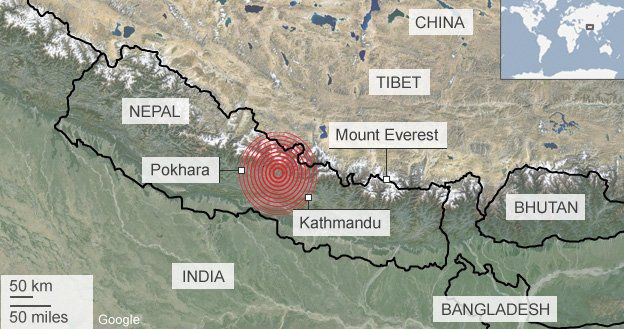 The 7.8 magnitude quake struck an area of central Nepal between the capital, Kathmandu, and the city of Pokhara. There were also victims in India, Bangladesh, Tibet and on Mount Everest, where avalanches were triggered. The government has declared a state of emergency in the affected areas, and help has been offered by countries around the world. The US has said it is sending a disaster response team to Nepal and has released an initial $1m (£0.7m) to address immediate needs, according to the US aid agency USAid. Indian Prime Minister Narendra Modi has sent a military transport plane with three tonnes of supplies and a 40-strong disaster response team to Nepal. Officials said three more planes would follow, carrying a mobile hospital and further relief teams. UK Prime Minister David Cameron has said the UK "will do all" it can to help in the aftermath of the earthquake, and French President Francois Hollande said France was ready to respond to any request for aid and assistance. Many more people are trapped under rubble. Local television pictures showed rescuers in Kathmandu desperately digging through the rubble with their bare hands in search of survivors. Many historic buildings in the capital were also destroyed. Thousands of people were spending the night outside their houses, following a series of aftershocks.